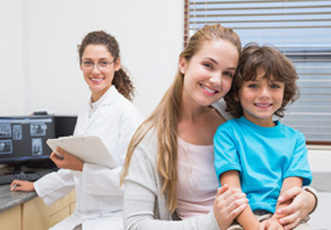 We offer comprehensive dental care for the whole family. Conveniently located in Stoke Gifford within a short distance from Bradley Stoke, Filton, MoD, UWE and SunLife. The practice was founded in 1986 with the ethos of wanting to treat people in our community from the youngest to the oldest. Our philosophy has always been to prevent dental and oral disease. We aim for your experience of dentistry to be as comfortable as possible and to provide your treatment in a friendly and relaxed atmosphere. We offer our patients procedures which are tried and tested and taught in our universities to both undergraduates and post graduates. In addition to routine dentistry, we provide advanced restorative procedures, aesthetic dentistry, oral surgery and orthodontics. We offer treatment to the very anxious patients with the aid of conscious sedation. Our dentistry is of the highest possible quality in general practice and we strive very hard for our standards to be comparable to those of specialists. We offer this assurance to all our patients – if we are not confident of undertaking any procedure to a high standard and also if any procedure is beyond our skills, we will not hesitate to refer you to the appropriate specialist practitioner. We are totally dedicated to serving our patients. A renowned professor is quoted as saying “the best dentistry is no dentistry at all”. We subscribe to that saying whole heartedly, and yet the irony is, in order to achieve that aim children need to be seen by their dentists regularly. In Stoke Gifford Dental Practice we support parents and carers in preventing dental disease by encouraging routine examinations and educating them on diet and oral hygiene advice. 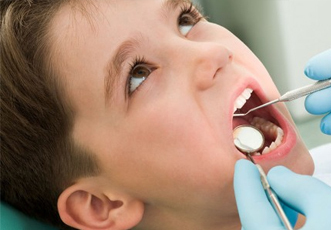 Most children who require orthodontics (teeth straightening) will be treated in our practice. This saves our patients being kept on waiting lists for months, years in some cases, and a lot of time travelling. Here at Stoke Gifford dental we believe prevention is better than cure and we will work with you and your family to achieve better oral health & then continue to maintain it. Our aim at the practice is to provide good quality affordable treatments in a warm friendly professional environment. At Stoke Gifford Dental we believe everyone deserves high quality, caring dental treatment and that fear should not be a barrier. Our team is here to support you and help you overcome nerves and anxiety to make your visit a relaxed and positive experience. Having dental treatment under sedation can be a tremendous relief for patients who suffer from dental phobia or fear of the dentist. Sedation can very quickly make the nervous patient feel much calmer and more relaxed taking the edge off the whole idea of having dental treatment. At Stoke Gifford Dental our practitioners have considerable experience in providing dental treatment under sedation. We are happy to offer you dental sedation to help you put your fears aside. Our dedicated team is fully trained to deliver the sedation needs of our patients allowing even the most anxious patients to overcome their fears and benefit of improved dental health.